The home at 14 William Street will not last on market for more than 10 days, I already know it. Besides the price and the quality, it is exactly what today's buyer wants. 14 William Street is located in a neighborhood so close to its three schools, that many children walk to school without a bus. This is especially useful during those inclement weather days where the commute is short. Besides that, it is a short walk from the fields of Nathan Hale and other parks - a desirable location. As you pull up to the home, you have your choice of garage or paved driveway to park. Upon entering the front door, you expect a regular cape, but find a home that is more like a colonial. 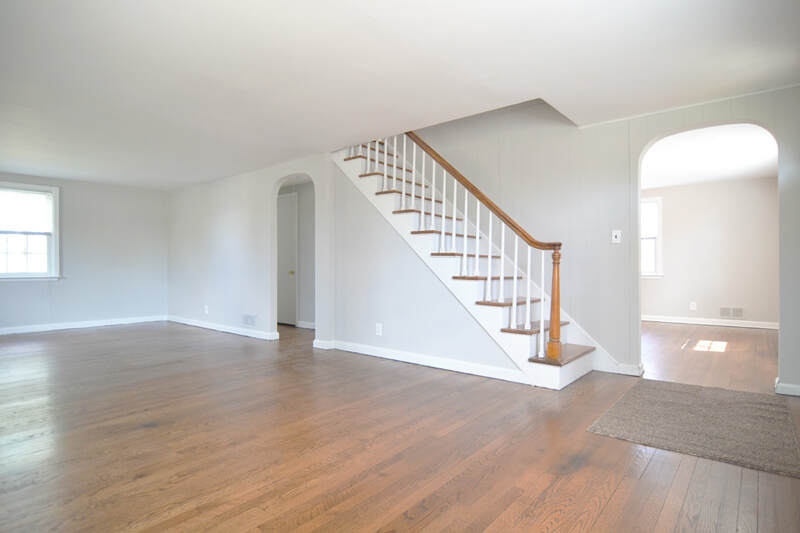 The newly refinished hardwood floors are the first thing that catch your eye, but also the sheer size of the living room - or I should say, the living room PLUS den. There is a fireplace at the center of the room, and staircase upstairs at the back. The doorways have arches, typical of the 1940's flair in homes. The circular flow of this space leads you to the dining room, to the right of the front door as you enter - also with hardwood floors. This square room is idyllic for today's buyer, and has direct access to a large eat in kitchen. The kitchen has newly painted cabinets, and a new floor. 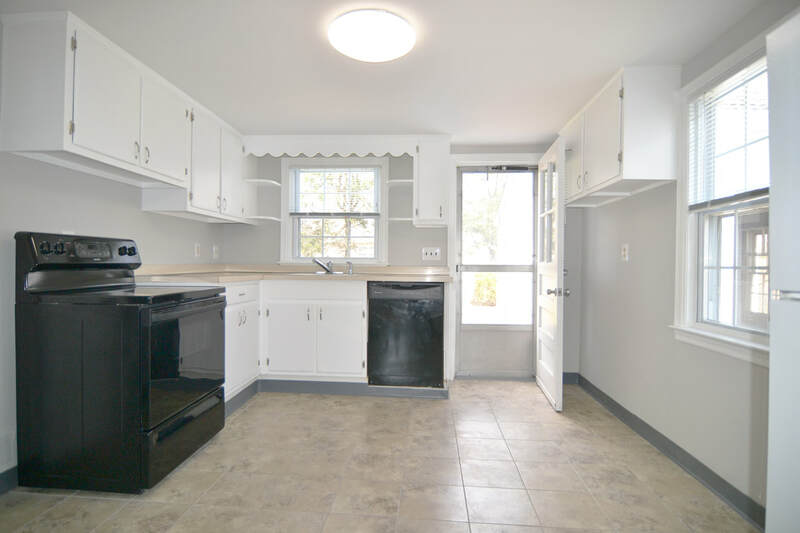 There is plenty of space for a table, with dishwasher and ample cabinets. It has access to the backyard also. The back yard is level and fully fenced. There is a small patio, and plenty of grass. It is one of the best lots in town under $450,000. There are no hills, and no issues with kicking around a ball, or engaging in many other activities for a yard like this. You can also access the 1 car garage with parking and storage from this yard as well. Back through the kitchen, as you walk back into the living room, there is a half bath and several closets - a space PERFECT for future expansion to full bathroom if desired. The basement is also accessible from this hallway - a full, unfinished basement with laundry and more. The best feature about this home is that it has all three spacious bedrooms on the upper level. These three beds all have hardwood floors, with a clear master bedroom. They have lots of nooks and crannies, and plenty of built-in spaced. With new paint and new light fixtures, not a single thing needs to be done. The bathroom is at the center of these bedrooms, with some light updates as well. There are also newer windows throughout the home, and other updates you wouldn't see but end up costing the buyer less in the long run. It is a home with all the necessities covered. The future buyer for 14 William Street is in luck - this home is fully available for now, and ready for those additional touches that really make a house a home. 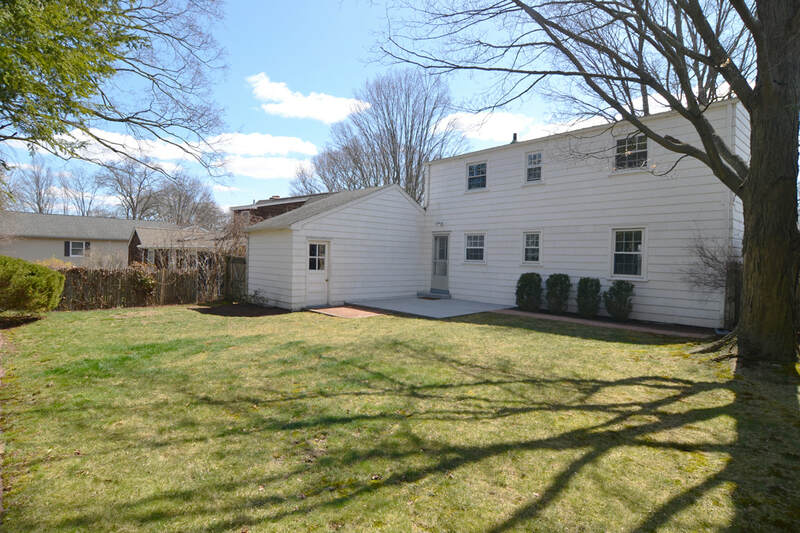 This colonial has 3 beds and 1.5 baths, with a full basement and a garage. The backyard is flat and perfect for all outdoor activities. There is no home on the market that matches this beauty.